It’s easy to locate a good, local furniture upholsterer, but how do you know when you’ve found a high-quality upholstery shop that you can truly trust with your favorite furniture? Dedication to Customer Service – A great upholsterer works with the customer to ensure the upholstery or refinishing project goes smoothly and exceeds the customer’s expectations. Some customers may not know which type of fabric to select, or may not even know how to get started on a professional upholstery project. Good upholstery shops offer the customer service and communication that the customer needs to feel welcome, have all questions answered, and plan the reupholstery project of his or her dreams. Skilled Technicians – Great upholstery shops need skilled and experienced technicians. It’s that simple! Find a trustworthy upholstery shop with craftsmen who have honed their skills through many years of furniture restoration and have received training and experience in fine furniture upholstering. Bonded & Insured – It’s imperative that the upholstery or refinishing shop that you trust with your furniture is bonded and insured so that your investment is protected. Passion for the Craft – Furniture restoration and upholstering is an art, and the technicians and craftsmen who perform the work should be passionate about what they do. Jax Furniture Refinishing & Upholstering is the highly rated furniture refinishing company Jacksonville FL homeowners trust with their fine furniture. We are passionate about furniture and love to provide outstanding craftsmanship and service to our customers with every job. 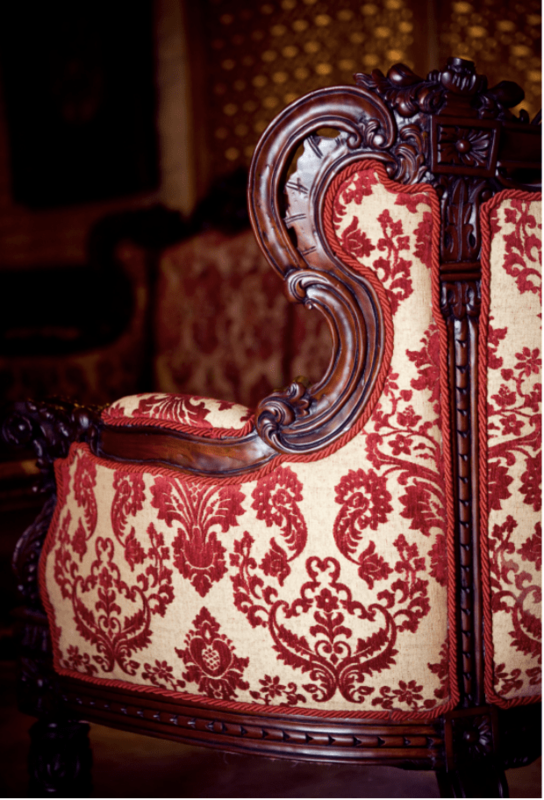 We specialize in restoring fine antique furniture, providing repairs, and reupholstering and refinishing nearly any type of fine furniture. We’re the trusted custom upholstery service for customers in downtown Jacksonville, Ortega, Nocatee, Mandarin, and throughout the region and would love to get started on your furniture restoration or upholstering project! This was our second experience with Jax Furniture; just as good as the first time! All Content © 2019 Jax Furniture Refinishing & Upholstering. All Rights Reserved.